By hungry runner on January 6th, 2013 . Filed under: Holidays, Kids, Stationary, Valentines Day . As soon as the holidays end and New Years hits, it seems like it’s time to start thinking about the next holiday, which is my personal favorite, Valentine’s Day! 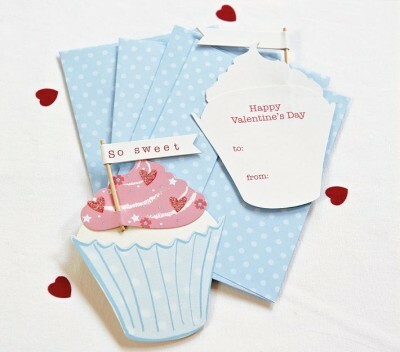 I have already started keeping an eye out for great cupcake items and spotted these cupcake cards on Pottery Barn Kids’s website. The set of 20 cards cost $12.00.